Dr Yuhan Huang received his Bachelor degree from the Huazhong University of Science and Technology (HUST) in 2011, and PhD degrees from the HUST in 2016 and University of Technology Sydney (UTS) in 2017 (UTS-HUST dual-degree program). All are in the area of spray, combustion and emissions of internal combustion engines. 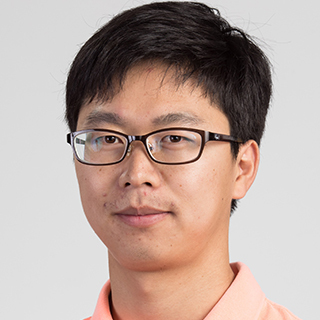 Dr Huang is currently a Postdoctoral Research Fellow in vehicle emissions and air quality at the School of Civil and Environmental Engineering of UTS. His research is presently focused on remote sensing of on-road vehicle emissions and eco-driving for reducing fuel consumption and emissions. Hybrid electric vehicles (HEVs) are perceived to be more energy efficient and less polluting than conventional internal combustion engine (ICE) vehicles. However, increasing evidence has shown that real-driving emissions (RDE) could be much higher than laboratory type approval limits and the advantages of HEVs over their conventional ICE counterparts under real-driving conditions have not been studied extensively. Therefore, this study was conducted to evaluate the real-driving fuel consumption and pollutant emissions performance of HEVs against their conventional ICE counterparts. Two pairs of hybrid and conventional gasoline vehicles of the same model were tested simultaneously in a novel convoy mode using two portable emission measurement systems (PEMSs), thus eliminating the effect of vehicle configurations, driving behaviour, road conditions and ambient environment on the performance comparison. The results showed that although real-driving fuel consumption for both hybrid and conventional vehicles were 44%-100% and 30%-82% higher than their laboratory results respectively, HEVs saved 23%-49% fuel relative to their conventional ICE counterparts. Pollutant emissions of all the tested vehicles were lower than the regulation limits. However, HEVs showed no reduction in HC emissions and consistently higher CO emissions compared to the conventional ICE vehicles. This could be caused by the frequent stops and restarts of the HEV engines, as well as the lowered exhaust gas temperature and reduced effectiveness of the oxidation catalyst. The findings therefore show that while achieving the fuel reduction target, hybridisation did not bring the expected benefits to urban air quality. © 2019 Elsevier Ltd Although new vehicles are designed to comply with specific emission regulations, their in-service performance would not necessarily achieve them due to wear-and-tear and improper maintenance, as well as tampering or failure of engine control and exhaust after-treatment systems. In addition, there is a lack of knowledge on how significantly these potential malfunctions affect vehicle performance. This study was therefore conducted to simulate the effect of various engine malfunctions on the fuel consumption and gaseous emissions of a 16-tonne Euro VI diesel truck using transient chassis dynamometer testing. The simulated malfunctions included those that would commonly occur in the intake, fuel injection, exhaust after-treatment and other systems. The results showed that all malfunctions increased fuel consumption except for the malfunction of EGR fully closed which reduced fuel consumption by 31%. The biggest increases in fuel consumption were caused by malfunctions in the intake system (16%–43%), followed by the exhaust after-treatment (6%–30%), fuel injection (4%–24%) and other systems (6%–11%). Regarding pollutant emissions, the effect of engine malfunctions on HC and CO emissions was insignificant, which remained unchanged or even reduced for most cases. An exception was EGR fully open which increased HC and CO emissions by 343% and 1124%, respectively. Contrary to HC and CO emissions, NO emissions were significantly increased by malfunctions. The largest increases in NO emissions were caused by malfunctions in the after-treatment system, ranging from 38% (SCR) to 1606% (DPF pressure sensor). Malfunctions in the fuel injection system (24%–1259%) and intercooler (438%–604%) could also increase NO emissions markedly. This study demonstrated clearly the importance of having properly functioning engine control and exhaust after-treatment systems to achieve the required performance of fuel consumption and pollutant emissions. © 2018 This paper explored the spray and combustion characteristics of ethanol-diesel (E10), water-emulsified diesel (W10) and neat diesel (D100), especially micro-explosion of E10 and W10. The experiments were conducted in a constant volume combustion chamber under cold (383 K, 0% O2), evaporating (900 K, 0% O2) and combustion (900 K, 21% O2) conditions. Results showed that the spray expansion capacities of E10 and W10 under cold condition were much weaker than that of D100 due to the larger viscosity of emulsified diesels. Under evaporating condition, the spray volume of E10, W10 and D100 increased by 59%, 34% and 21% respectively comparing with cold spray volume. The higher increasing rates of E10 and W10 were mainly due to the micro-explosion effects of ethanol and water contents. Under combustion condition, the integrated natural flame luminosity (INFL) demonstrated that the ethanol content could accelerate the oxidation of soot, while the water content could prohibit soot generation. Therefore, both ethanol- and water-emulsified diesels could inhibit the soot emission, causing lower final residual soot emission of E10 and W10 than that of D100 by 21% and 39% respectively. Moreover, the flame lift-off length (LOL) and flame spread velocity showed that the effects of micro-explosion in E10 and W10 are different. The micro-explosion in ethanol occurred earlier, which enhanced the reaction rate in upstream flame and reduced the LOL. However, the micro-explosion in W10 occurred later, which enhanced the combustion rate in downstream flame. © 2018 Elsevier Ltd This work was aimed to study droplet combustion which was a foundation of spray combustion. Combustion characteristics of BUT00 (pure biodiesel) and BUT50 (50% n-butanol and 50% biodiesel by mass) were investigated using droplet suspension technology under 1 bar and 900 K. One flame was observed for BUT00 while two flames were observed for BUT50. The flame of BUT00 underwent successively faint luminosity, bright luminosity, soot aggregate and soot spread. The first flame of BUT50 was faint and the second one was similar to that of BUT00 because they were caused by n-butanol and biodiesel combustion respectively. Before the auto-ignition of BUT00, (D/D 0 ) 2 was approximately unchanged at 1.0 and similarity degree (SD) was higher than 97%. Temperature growth rate (TGR) decreased first quickly and then slowly. After the auto-ignition of BUT00, (D/D 0 ) 2 sharply decreased and SD was in the range of 90–97%. The flame heating led to the increase of TGR. For BUT50, obvious fluctuations were found in (D/D 0 ) 2 , SD and TGD. The SD of BUT50 was generally lower than 97%. The (D/D 0 ) 2 of BUT50 included transient heating, fluctuation evaporation and equilibrium evaporation phases. Some characteristic parameters were deterministic although (D/D 0 ) 2 in fluctuation evaporation phase was a non-deterministic process.